At the xray, I’d placed my winter coat and purse into one tray and my laptop in another. When I remembered that I would also have to put my suit jacket through the xray there were no more trays available, so I placed the jacket under the laptop. Laptop computers have to go through the Xray in their own separate tray. So, while I was being frisked (wanded?) by one guard, another security guard grabbed my VAIO and obviously THREW it in another tray. It wasn’t until we got to the airport lounge, where I planned to check my email, that I realised something was horribly wrong with my computer. 🙁 It simply would not power up – and worse – it looks like it might be a gonner. One computer shop couldn’t fix it, so now it’s on its way back to Sony, which charges $350 CDN, just to open the thing up and take a look. Meanwhile, because I am flying to Vegas tomorrow for the Affiliate Summit and couldn’t be without a laptop – I bought a new VAIO SZ Series (VGN-SZ360P). Here’s the upside… I LOVE my new VAIO. This notebook is razor-thin, incredibly fast, and for my aging eyes, the 13.3″ screen is a definite improvement over the little 10.4″ screen on my other VAIO. Note: Although SONY has the VGN-SZ360P currently priced at $2,299.00, some of the SONY SZ laptops start as low as $1,279.99 or $37.00/ month. Wow A new laptop. I hope to buy a new one soon too! Thank for visiting my blog today. Looking forward to meeting you this weekend. Sorry to hear about the laptop, but I know you were excited to upgrade. Hope you were able to retrieve your data. How have you been. I am glad to hear everything worked out for you in the end. Thanks for sharing your story. Have a great 2007. 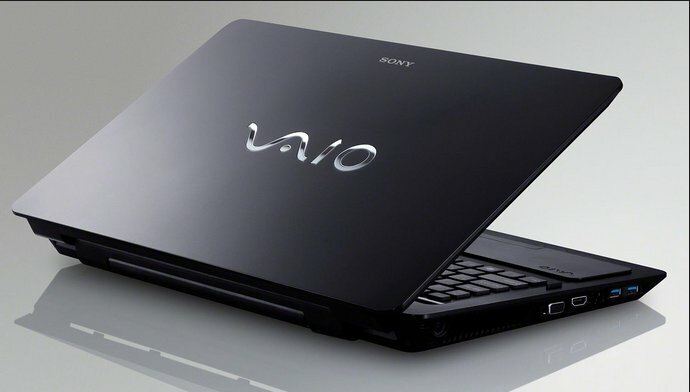 BTW: Your blog keeps getting better and better..
Look forward to seeing you with your snazzy new vaio at ASW. I’m sorry for the loss of your Sony VAIO, not to mention the inconsiderate way people treated you, after you were involved in the car accident. When I was younger, I though everyone was basically nice and you just had to be nice to them. I didn’t understand why my father was such a SOB,i.e. a Prosecutor, with a Ph.D in Jurisprudence, always punishing people, and taking their money away from them and/or putting them in prison. Good or bad those people at the airport would have heard from one of his colleages,Lawyers hang together sort of like Internet Marketers do, not to mention a bunch of legal mumbo jumbo terminology about gross negligence, liability, pain and suffering, loss of income etc. Now that I’m older I’m glad he’s my SOB! I don’t want to sound like Niccoló Machievelli but there is perhaps more security in fear than love. I was forced to learn how to shoot a gun at a very tender age. I chose to study Medicine but wish I had studied Programming or Law, nowadays. Anyway, I am sorry for the abuse you had to take! P.D.That must of really hurt scratching the screen with a screwdriver. I hope you were able to get all of your data for your new computer. I love that we have computers, but sometimes I wish we didn’t have to be so dependent upon them, as it can be really painful at times.